WOWSlider makes it easy to show off your photos in enchanting, specialized galleries and slideshows. Add or drop images directly to the app and apply a variety of editing and display options to improve graphical impact. making a slideshow with WOWSlider is effortless. The flexible drag and drop interface allows you to create slider quickly and effortlessly. Amazing layout and creating components help you concentrate on your content while WOWSlider software takes all the weight in the background. Skins could be 100 % customized and changed to fit your desires. Slider design is only restricted by your imagination. WOWSlider offers more than A hundred professionally made slider skins. From ultra-modern minimalist to bold and traditional, WOWSlider contains a template that satisfies your outstanding design palate. WOWSlider offers 100 % help for international users. The interface can be chosen in 40 languages. Efficiently and instantly begin creating sliders, even though you are not really experienced with English. Classy design and layout is the primary to a successful website. WOWSlider layouts work with the complete range of contemporary design and are built for you to handle, modify, and change at will. Jump into a WOWSlider design today - it's fun, impressive, and a fantastic choice for affordable design. The WOWSlider app contains all from the basic elements of WOWSlider advanced drag and drop system to more complex options such as Wordpress or Joompla export. Get carousel ideas and functions that will help you use WOWSlider complete theme and effect library. 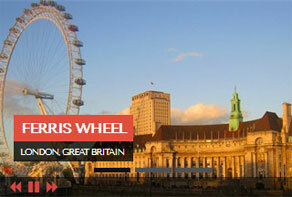 Producing your personal slideshow through WOWSlider is not difficult, no extra skills needed. Your slideshow may be developed in a few minutes after beginning. Full control over design and structure enable you to build exceptional sliders. Complete effect, layout, and controls personalization provides the key navigation and interaction elements. Superior options assist you to personalize additional detailed options to fit your distinct needs. If you can dream it up, WOWSlider can build it happen. WOWSlider is providing the perfect ability to have more clients. When you find yourself looking to choose this procedure, it will be possible to change a dull website into a great online place where folks will spend more money in their time. All transitions are certainly smooth and clean. The slider feels modern and pleasant to work with. The application of bullets causes it to become clear just how the navigation system works, which means that this slider is clear and understandable and make use of. The transition effect is what makes this carousel truly amazing. Each slides plays for as much as three seconds before another image replaces it. In the event the picture is changing, the upcoming image’s shadow arrives on the left, and externally the frame. After the picture has replaced the actual one, users is able to see the shadow from the leaving photo externally right on the frame. This effect truly shows the image and attracts the user’s interest, this is why it could look impeccable for photography or travel websites, given that it attracts people. The actual carousel incorporates a thin white border, that produces a quick but classic feel. The white border would be different well against a black or dark website background. This example presents the slideshow during a wide excellent panoramic display that is sure to amaze everybody that sees it. This example features very little clutter as you possibly can to guarantee the pictures are displayed without obstruction generally components disappearing when not being used. White arrows on grey letterboxes on both sides will let you skip by your pictures and little circles towards the bottom enable you to manage which image is now being shown at any moment. Moving your mouse above them causes a turn up together with image appearing and clicking it will need people to it immediately. The standard animation effect is Brick, which slides images in through the right. Again, the transition is not hard but sleek. The overall outcome is a slideshow that has been modern and elegant but simple. 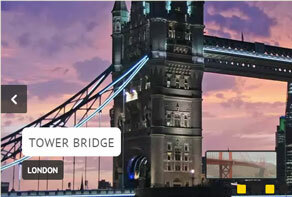 WOWSlider hosts an assortment of photo slideshows. 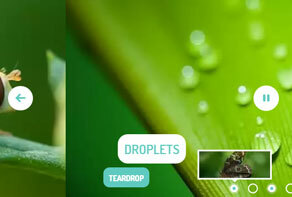 You could decide among across a dozen different picture templates and 7 different animations. 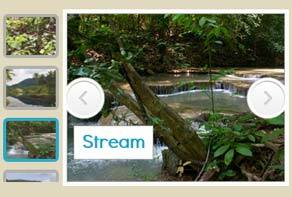 WOWSlider has photo slideshows that are not only nice aesthetically but uncomplicated. Their image slide shows are really easy to download and are simple to personalize in your pictures by merely dropping the pictures into position. The look slideshows on WOWSlider are usually convenient during that they work with many browser types, including cellular devices. No matter if you opt for funny Bubbles, interesting circles, mysterious shades, or if perhaps you opt for the simplest design from the offer, it will be possible to generate an intriguing website that could possibly market your company within a great manner. That way you will have more visitors, and thereby, the number of your clients increases. Which means your profit will raise, and as a consequence you will get the ability to be regarded as a step well before your competition. This really is your perfect chance to succeed.